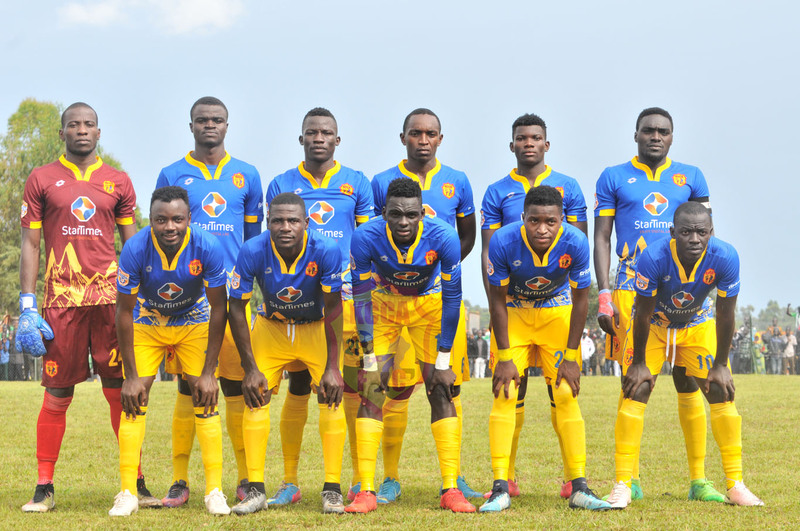 KCCA FC team posses for a team photo before Kick off in a recent game. The contingent which comprises of 18 players, eight technical team members and five officials departs from Entebbe International Airport on Friday 11th January at 0650 hrs aboard Boeing 737-800 – Rwanda Air and will have a stop over at Kigali International Airport before finally connecting to Brazzaville at 0900 hrs. The team will be landing at Maya Maya Airport at 1025 hrs aboard Boeing 737 Rwanda Air. Officials; Juma Marjan Abdul Hamid (Leader of Delegation), Tom Lwanga (Board member Technical Director), Kirunga Micheal Bitonde (Finance Manager /Advance person), Magero Moses Mwanje (Public Relations Officer), Babirye Aminah (Media Officer). Technical team; Mutebi Mike Hillary (Team Manager), Byekwaso Morley (Assistant Manager), Kaddu Badru (Fitness Coach), Kiwanuka Daniel (Goal Keeper Coach), Malinga Richard (Assistant Coach 1), Kabuye Robert (Assistant Coach 2), Ssewanyana Ivan (Physiotherpist / Team Doctor), Tusuubira Emmanuel (Assistant Physiotherapist). Players; Charles Lukwago (GK), Malyamungu Jamil (GK), Bukenya Lawrence, Awany Dennis Timothy, Gift Ali Abubakar, Musana Hassan, Kaddu Henry Patrick, Mutyaba Muzamiru, Kyambadde Allan, Kizza Mustafa, Achai Herbert, Ssenjobe Eric, Mutyaba Mike, Sserwadda Steven, Kirabira Isaac, Poloto Julius, Okello Allan, Obenchan Fillbert. KCCA FC beat Mtibwa Sugar FC over two legs in the Final 1/16th round and will be looking to overcome AS Otoho in a two leg affair to proceed to the group stages of this edition. The 1st leg shall be played on Sunday 13th January at Stade Omnisport Marien Ngouabi – Owando that has natural grass.